There’s not much in the world I can truly say I hate. But I hate Harvey. We have been sitting here for more hours than I can begin to count being brutally lashed by his seemingly never ending fury. I would be lying if I said it wasn’t scary…terrifying…at times, but we are among the lucky ones. We are safe and dry. Harvey has taken so much from so many. Homes, lives, hopes, jobs–all washed into the Gulf of Mexico by his relentless anger. As the horrifying images and desperate needs flash across my screen in endless and quick succession, I sit here with tears in my eyes. Where do you begin? I have never felt so helpless. My neighbors are in dire straits and I can’t do anything but pray. It’s a terrible feeling. Pregnant women and their toddlers stuck on roofs waiting hours upon hours for help. 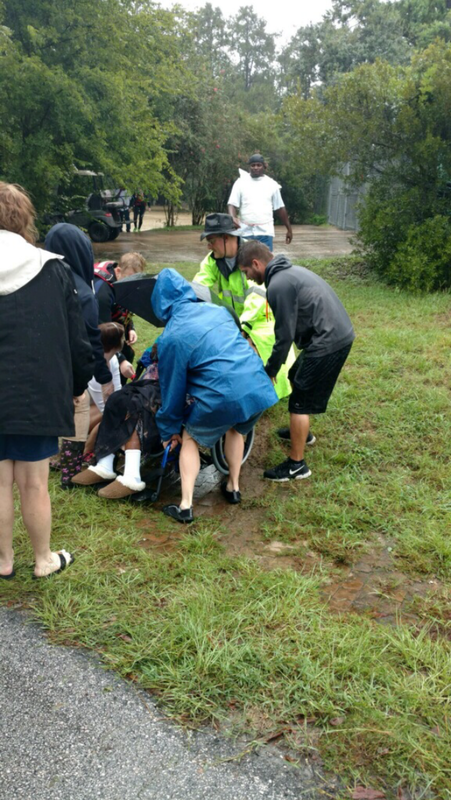 A friend with seven feet of water in her home swimming for her life to a rescue boat. 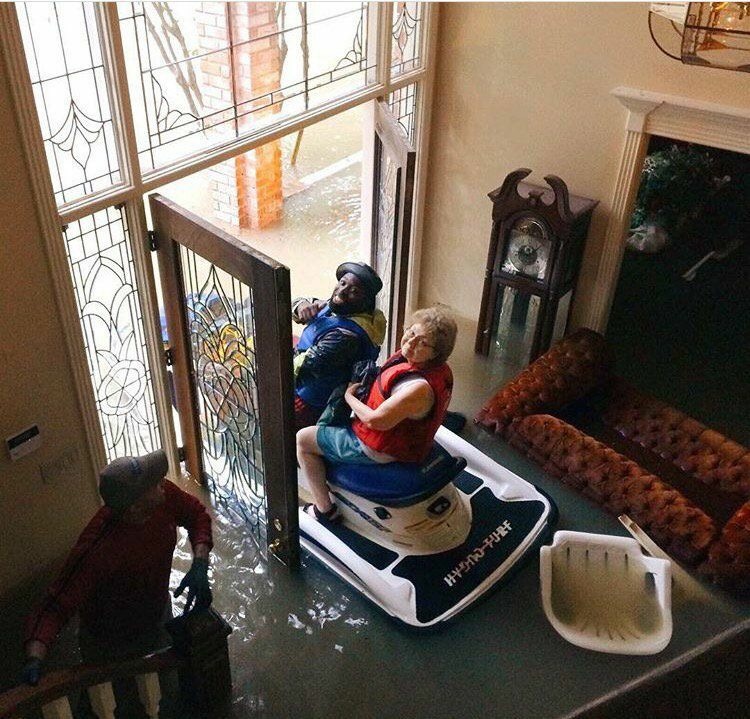 An elderly couple trapped in their attic with rising water. A man drowned as he clung desperately to a shoping cart return in a parking lot. Thousands stranded. Thousands homeless. Hundreds in need of rescue. No water. No food. No end in sight. My own church (Church Project) has taken in tons of evacuees with even more buses on the way, and we (my family) can’t even get out to help them because of devastating flooding and road closures all around us. It’s a feeling of hopeless, helpless heartbreak that I can’t even begin to express. Yet, in the deluge, there is also something incredibly beautiful emerging. You see, Harvey has washed away something else–hatred. There are only people helping people. There are only strangers opening their homes for strangers. There are only men and women risking their precious lives for other precious lives. Today, no matter who you worship, the color of your skin, where you were born…we are all Texans. For a stunning moment the world has stopped fighting against each other and started fighting for each other. Take note world. 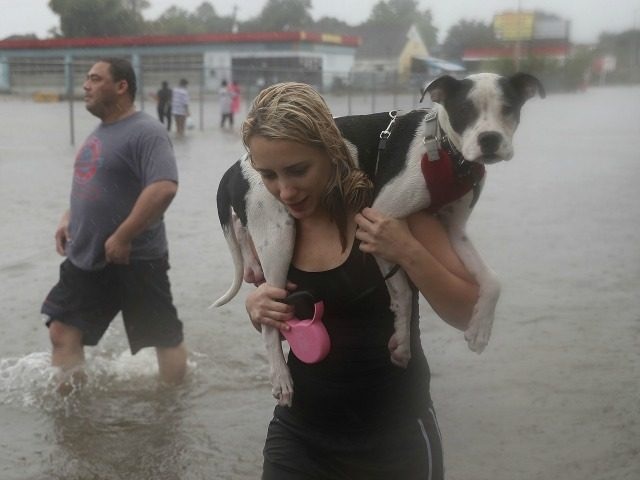 You don’t need to wait for a devastating disaster to love. You don’t need to wait until your neighbors are drowning to reach across the color, religious, nationality, political boundaries. This world is suffering a different kind of storm, one far more dangerous than Harvey–a storm of hatred. Let’s refuse to let it break us. 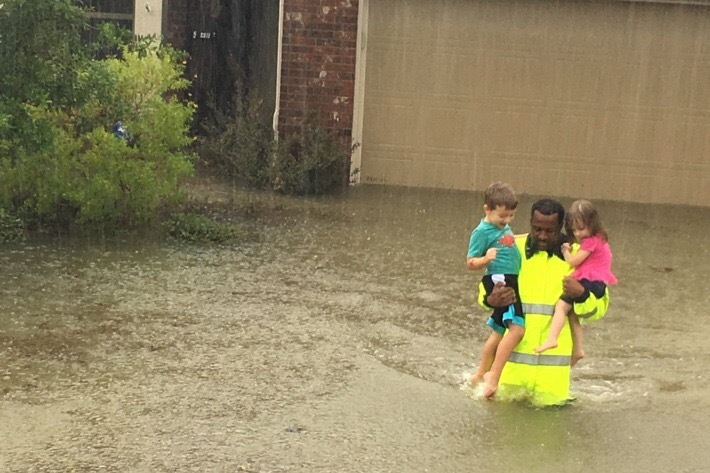 Do it now–in honor of Texans, love your neighbor fiercely today, tomorrow, and every day thereafter. 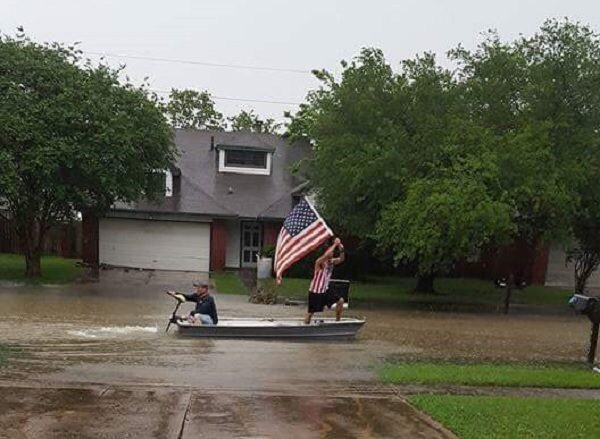 And Texans, I beg you to remember this day every time you gaze upon your neighbor. If you would go to any lengths to save them today, then let’s go to every length to love them for endless tomorrows. HELP TEXAS: Want to help our evacuees? We desperately need your help. Go HERE to give to the Harvey Relief Fund. One hundred percent of donations to this site go to Harvey victims. The profit for all book sales in the month of September will go directly to victims of Harvey! Next postLove Books? Then You Can Help Flood Victims! This is an amazing post. You included photos I never could have imagined. Now I’m a new follower. I ABSOLUTELY LOVE THIS! Yes, love your neighbor! Houston strong! Thank you so much for this! God bless you! So beautifully written. Portions of this (with attribution) made their way into my sermon for tomorrow. God bless you in your work. I am very, very humbled. May God use me to change hearts. I can imagine no greater honor. Thank you. Beautifully written. Expresses the truth that compassion is human, bigotry is learned. Thank you. Thanks be to god for Texas and all our people’s !!! Thank you for your kind words. We each can only do what we are able. Thank you for standing with us. I am glad to hear you are doing better from your stroke. Medical illness can be a devastating life altering experience as well. Blessings. Well said. It’s too sad that it takes a disaster to bring us together. Let us hope that the love remains after Harvey is gone. So beautifully written and well said. We all need to grab onto this outpouring of oneness, this love, and embed it into our hearts to be pulled out and used EVERYDAY! This is beautiful Angelia! And it is TRUE. ANYONE WHO HAS A HEART, IS “WITH TEXAS”. Thank you. Very well said. All lives matter. It all goes back to Do unto others as you would have done to you. I know exactly what you are going through unfortunately. Katrina was a mess too. When the rains started falling in Calgary in 2013, we had time to get people to safety. My daughter and her roommate were evacuated along with 100,000 other people. I spent a couple of nights volunteering in an emergency evacuation facility while my daughter helped clean out people’s homes. It was a devastating time. Yet, the one thing the rain’s and flooding could not wash away, was our human spirit, our desire to be One, our human instinct to come to the aid of each other. When I read Angelia’s blog, when I saw the photos she shared, I was reminded of the greatest of our shared humanity and the power of our human condition. I stand with you Angelia and Texas. I would have never thought about the title because the message was so beautifully written. I don’t know your work but am now Compelled to read them. Harvey: The blessing. Or Harvey; Love Trumps disaster! (No pun intended). Do you know how much if the fundraiser is going to victims and how much to administration costs? Thank you for your kind words. I would love for you to read my books, but certainly not my motive. I am, however, giving 100% of all sales back to Harvey victims for the month of September. Also, I guarantee that 100% of the fundraiser I linked goes to victims. Zero to admin. It’s why I chose them. I know them personally and give not only my money to them but also my volunteer time. Thank you. It can seem at times that American citizens are continually at war with one another, always fighting over whatever the latest issue of the day is. While it’s true the country is in flux, the majority of people that make it up are good and decent and it’s important to remember that. 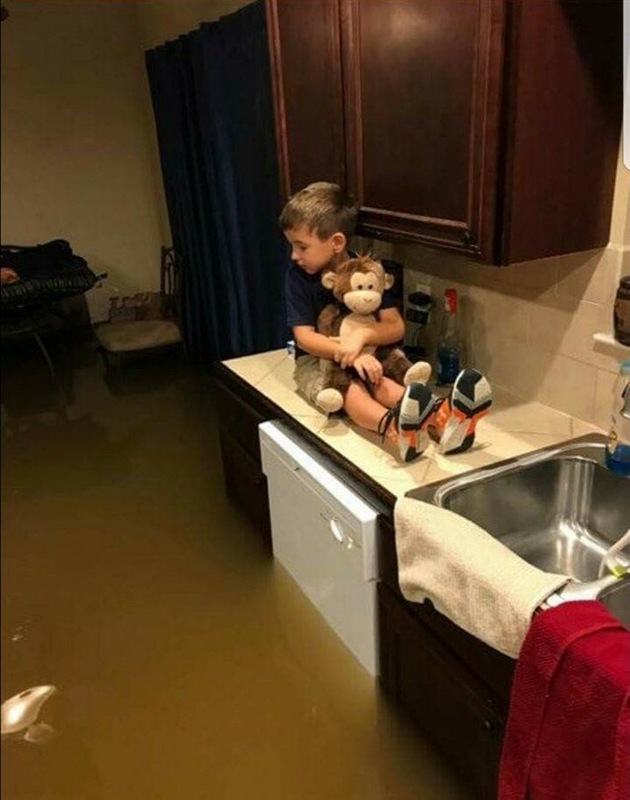 I thought this post did a great job showing the human side of tragedy and how even a devastating flood like Harvey can bring us together. Beautifully written and heartfelt! I wish everyone in the US could read this and see these pictures. God Bess you and Texas! My thoughts are will you all in Texas and other areas being struck by these awful storms. Bless you all..
Heartbreaking but beautifully said. Praying for Texas! Among other groups from here, in Mobile, AL, a commercial enterprise, called Gulf Coast Ducks, took their tourist vehicles, which are designed to drive on the streets and then transfer seamlessly to the water, to Texas to help with rescue on land and water. Good use of a fun tourist piece of equipment. Can only hope they were of some use to some of those stranded! That kind of help was and is desperately needed!! Thank you. 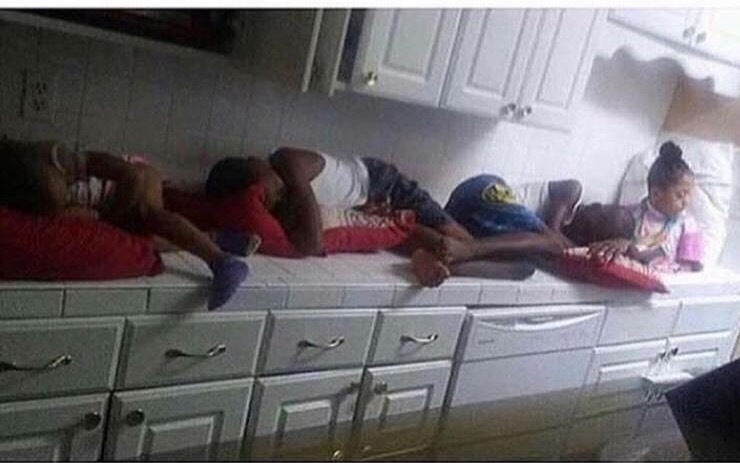 We still have folks on rooves who haven’t eaten in days. Reblogged this on Victoria 2070 a.d.. In port arthor my aunts and uncles houses were flooded to the roof line. My uncle was in his bay boat saving people out of there houses and loading his horses out of the drowned barn. my aunt bouught her house and hadn’t even lived in it and it drowned to the roof line. I’m so sorry to hear about your sorrows. My heart breaks for you my Texas brother. Be strong. Hopefully better days are somewhere in the future. I pray for Texas everyday, I have donated to the Red Cross to help the efforts of getting back on their feet, it will take time. I just wish our media would focus their attention on the good that is among us all and quit with the hatred….Stop fueling a fire that shouldn’t exist. America is about lending a helping hand in times of great need. Always has and will always be. Thank God we put all our differences aside to help one another. God Bless you each and everyone. And I will continue to pray for you each and every day until Texas has recovered. THE WIND AND AIN IN BAYTOWN.TX. SEEMED LIKE IT WOULD NEVER END, BUT IT DID. True that. How are you doing? Thank God for all of the love and kindness “deep in the hearts of all of the mighty Texans” Hopefully it will spread across our great country and follow these wonderful Texans down the rode to ” love thy” You are in my heart forever…..Go Texas!!! Reblogged this on branching out… on a limb. Thank you for the beautiful comments, finally some people have woke up and realized whatthis is all about. Sometimes when something like this terrible thing happens people learn that loving your neighbor as your self is the way it should be. God Bless Texas and the whole USA may we band together and find hope to move forward in every way. We need to learn from these disasters and understan there is a lesson to be learned. Help each other, judge not and always stand together as a natuon and people of the same country. I hope all of these poor people are taken care of and soon have normalcy back in their lives. Bless all of you who have gone through any trials from this horrible Harvey! It breaks my heart to see all these people in need. But it also does my heart good to see how American people have thrown their hatred aside, coming to the aid for our fellow Texans. But we know that the real one in this picture is God. Although I understand they are in dire need of help, look how God has brought all of his people together to help one another, sometimes He has to put us to the lowest of lows just to know that he is in control and we all need him. May God give you all strength to endure this tragedy, coming out a much better person for it myself. May God keep you safe. Amen. You are so right. There is so much negativity going on in the country. It seems that all the media focus on anymore is everything negative. This country has never been so racially divided and people do forget about the good in people. I literally cried while reading this post. It was so beautiful and so true. I believe that sometimes things happen that opens everyones eyes to what really is important and that is the love we should all have for each other no matter what race, orientation, religion, etc. Thank you for writing something so beautiful. Maybe someone good in the media will share it with the rest of the country. GOD BLESS YOU!!!!! Greater is He that lives within us than he (hate) that is in the world. Best of luck down there and I hope this brings positive attention to the cause of disaster aid. While I understand your/their concern, I did weigh this very thing heavily when I published the article. As you are aware there is a fine line between choosing a title that catches public attention and worrying about linguistics. In a case where the goal is to raise funds and support for victims of a tragic event, the hope for viral exposure trumped stroking my linguist ego. I thank you for bringing this to my attention, but I assure you that I was well aware of it. I have decided to place in quotation the ‘good’ in the title, which I am aware will only mildly offset the sandpaper affect to those of us who think in linguistic terms. Though I offer my apologies for anyone’s disapproval, I do not offer apologies for making a choice that has raised a great deal of financial support for victims. So I will ask in advance for the forgiveness and grace of the literary communities. We will mark it up to poetic licence and move on, focusing on what I believe is a much larger issue at hand, assisting the thousands of people who have lost everything. As I sit here staring at the devastation, I cannot fathom spend my time worrying about lesser things. I hope that those who are doing so can realign their focus to those things that matter most today. People. Please feel free to share my response to whom you may within said communities. Thanks again, Michael. I truly do appreciate your thoughts and suggestions! I hope you better understand my decision. I think it is absolutely beautifully and wonderfully written. I was lucky enough to only lose power. My neighborhood was mostly underwater (we were on the news it was so bad). 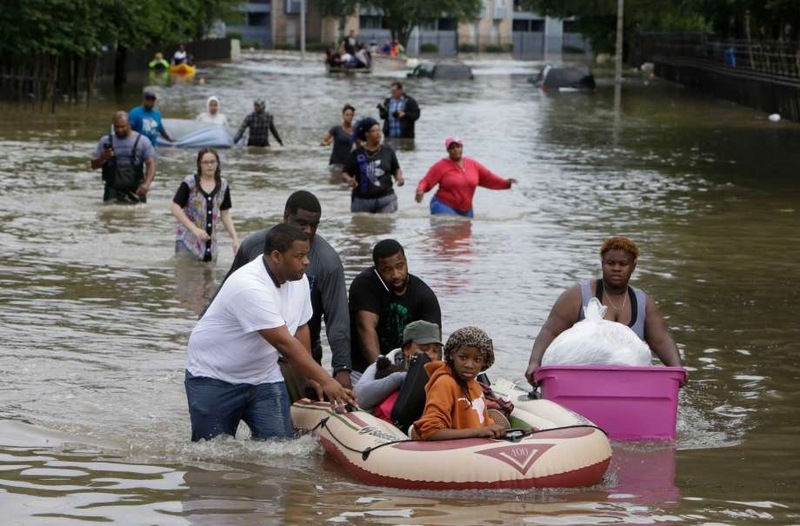 Many of my neighbors lost homes, vehicles, water in homes, someone passed away probably stress related, rescued by boats & kayaks in the pouring rain….. I LOVE the article! If anyone has the time or energy to make edits to the article, then they need to take a real, long, hard look in the mirror and say to themselves “I am part of the problem in this world” and then go make those changes in yourself!!! Some people may believe they understand linguistics, but I can assure you they do not understand rhetoric. In this case, “kairos” (the timeliness) and the exigency of an utterance, have been ignored by one who seeks to “correct” rather than communicate white that person also ignored the exigency driving YOUR effective rhetorical choices.. If we know what you mean, you have communicated it to us. Thank you for bringing this point to attention. I knew fully that my word choice could have multiple implications. However, also having had much experience in the realm of viral blogging, I know what will draw reaction and attention from my chosen audience and what will not. It was important to me to choose effective titling as opposed to grammatically legalistic titling. Your response filled my heart. Thank you. Your title gave me pause to read your article — which lead to me donating. As a Canadian, a Calgarian who was here for our flood of 2013 (my daughter was displaced and lived with us for 3 months afterwards until she could move back home) and as a citizen on this planet we share, I thank you for inspiring me and so many others to donate. I shared your post on my FB page and it has been reshared by others. This morning, I intend to reblog it on my blog page — good grammar. poor grammar — your story is compelling and a must read for all. Thank you Louise. It’s not a grammar issue, it was a poetic choice to give people pause to read. It worked; no regrets. Thank you for giving. All 100% of monies donated to that link go to victims. They did recovery work at 15 houses yesterday alone. Also, I have another blog which shares that 100% of my book sales for this month will be going to victims. If you have circles of book commuties who might be interested, please share. I promise I used ‘good’ correctly in that form of literature. 😉 We have a long road ahead in our community, but together with friends like yourself we will rebuild. Thank you again. Sorry that you received something like that……he is just blind to the words that you felt in your heart….and you shared them beautifully!! It’s okay, Sylvia. I don’t take any offense at his words. I love him just like all of our other neighbors. There’s no room for hate in my world. He had a concern and he voiced it. I would not deny him that, whether or not I agree it. I do think our time is better spent using our talents to help others than debating the ambiguity of a single word in a title of a blog meant to encourage unity. Thank you for standing with me and showing me love. I have no words. There’s no concern about the wording or objection. It’s just an observation. Just informing you that your article has gotten attention for more than one good thing. I know, Michael. I took no offense and hope I expressed that well to you in my response. You are welcome here. Whatever avenue brings more attention to our needs is okay by me. I hope the literary communities who have time to debate this tangent also consider using their specific giftings to continue to help those in need – in TX and around the world! Thank you for responding. Actually, now that I think on it, I cannot place the ‘good’ in quotation because I forgot it changes the sharing algorithms and would mess up all those who have shared the blog under the other title. So carry on we shall. You are pompous young man! Nope, just pointing out something interesting about dialect / changing language. No corrections here. What about no race, color, religion? Doesn’t that include language? Doesn’t that include any kind of well-meaning comment? Absolutely! Don’t get upset. I understood your intent. Remember people are emotional and this situation overall prompts a deep response. You are fine. We are Texans but also Americans!! This State represents what the whole United States stands for!! 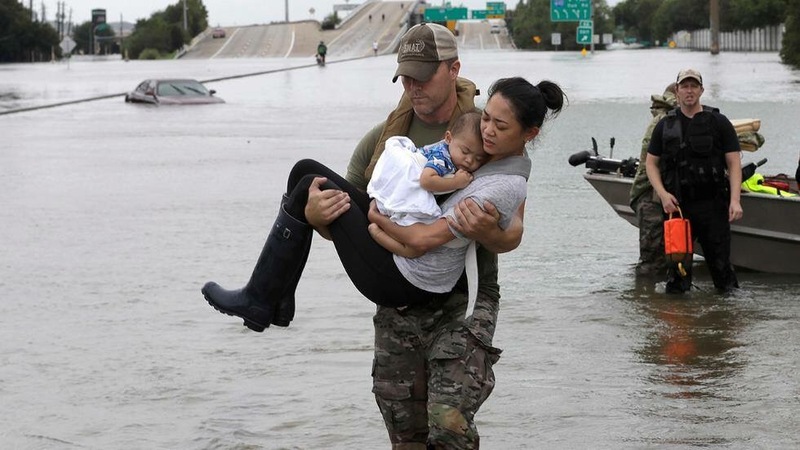 When a disaster like what has happened in Texas , other States have sent their own first responders as well as the National Guard, and of course the people of Texas all pulled together. Absolutely. By ‘we are Texans’ I refer to all our own state people as well as everyone around the world that have reached out to us in all ways. It was a phrase of solidarity. Texas is where I first arrived in our honeymoon , my husband was born in Mineola . Raised in Houston . I fell in love with the people , the beautiful kindness and the lovely way that they treated me a Argentine . My children loved coming to Houston and visiting grandma , going to the beach and we came year after year from Denver . I wanted to live in Houston but we have a job and a house in Colorado . The Texan people is sweet and kind and I love their friendship . My thoughts and my love is for Houston . My heart aches so much for y’all . LOVE the Argentine saying “y’all!” We embrace you! I stand with you, Texas! I’ve had those same thoughts! Born in Dallas, live in the Carolinas now but love strong! Well written and shared! Please Harvey, don’t leave without taking all hate ,jelious, envy and strife from our people’hearts,then go all over America and the intire world, filling all vacant s with Love and respect for everyone. It’s odd this feeling you’re conveying. My family was flooded by TS Debbie in June, 2012(our home, vehicles & pastures) and because of a cancellation of our original flood insurance the month before by said insurance, we are still struggling to get our home up and running. People were amazing! Friends of a friend put us up for 6 weeks. We had such kind offers for furniture and clothing, but we had no where to put it! No upstairs…we rented storage space, but it got too expensive and we finally brought it back to our sheds…that weren’t really ready and not air conditioned. We had to throw out most of the stuff that the water touched because of the sewer water causing health problems…stove, refrigerators and such. A week later, FEMA was finally called in and we were able to start tearing down the inside walls of the house. We were blessed with the maximum payout from FEMA(around $34,000) which sounds like a lot of cash, right? It was unbelievable to me that we would receive so much help from Americans! But as some of you may have thought when I first mentioned the amount, it was only enough to begin repairing our home, and then only because my husband was able to lead our sons and daughters in the repairs. Floors, wiring, walls, kitchen appliances, washer/dryer, sink, toilet & shower in our utility room, used beds and dressers for the bedrooms, & lawnmower. Because of the looting going on the damaged properties we decided we needed to buy an old trailer for half of us to live in to protect our tools, tile, drywall that people were stealing after the owners went their motel rooms, or such, for the night! They especially liked copper piping! Anyway, I wanted you to see that we were destroyed, too, but we always felt blessed because the flood waters were out of the house the next day…unlike so many others. Yes, mold destroyed much as we went through the drying out period, it was quite hard to get rid of it. Not having electricity for awhile, and therefor, no air conditioning and continuing to be a very wet summer, it made it harder. Survivors’ guilt is awful! As hard as it has been for us, since we aren’t made of money, we(7 of us) were all safe and basically well. All our dogs survived and our horse. Many in our local areas had greater difficulties then us! Some died! Some weren’t able to save any of their possessions because they couldn’t even get into their homes for months afterwards! Homes flooded, roads flooded and let’s not forget the sink holes(that water has to go somewhere)! If your home wasn’t flooded, then you possibly were only without electricity for a while…but almost everyone was affected! Just like this time with Hurricane Harvey. I am still thankful for how the LORD brought us through this trial, but not for all the evil doers at that time. Times of natural disasters are NOT the time to hurt others, especially those that are hurting already, but they are times to pray for them or help them in some physical way…even if it’s only a smile or a hug. It’s time to be kind, thoughtful, helpful, like what was mostly witnessed as we were all mostly struggling through. Like our President said though, we will still be standing with them years down the road because that’s what it will take. Money, food and lodging is what they need most right now, help with the clean up and rebuilding will come next and be more work than most will want to do or see through to the end. Whenever I miss being able to soak in my bathtub, I remember how long it was for many to not be terrorized by lightening and thunder at least for a moment. Yes, I am very blessed! 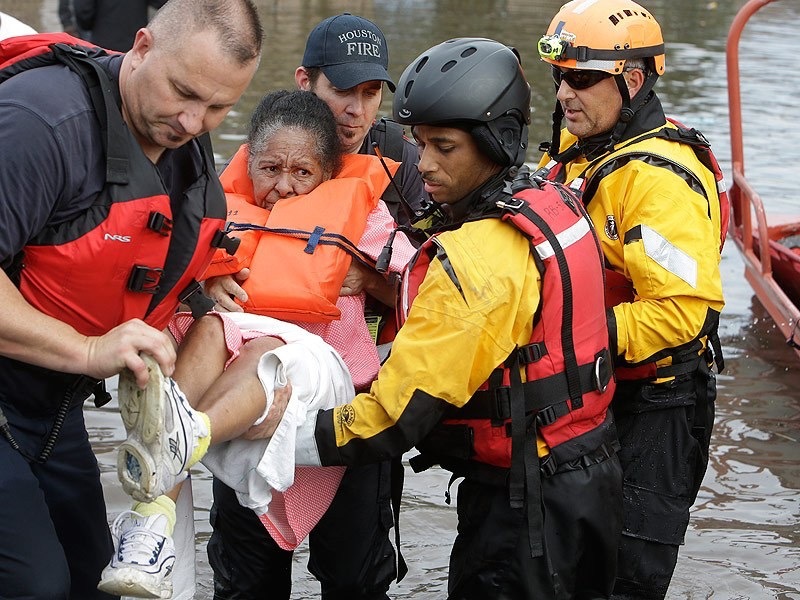 My prayers are with all those struggling with natural disasters yesterday, today & tomorrow! I am so sorry to hear all that you have experienced. As you so eloquently depicted, recovery is not an overnight process and can be confusing, overwhelming, and take forever. I imagine that Texas will take years to fully recover from this disaster, if ever. Many lives here are forever changed. It will also have a deep global effect on the economy since Texas is the energy center of the US. WOW !! What beautiful words to put a tragic event into perspective. Thank you from my heart ! If anyone from Houston area makes it to Ventura CA my home is open. I am giving to my employers’ fund to assist our employees in Houston. I’m also hoping to go to Houston to help in recovery. I love my Houston and still plan to return when I retire. LOVE YOU ALL AND GOD BLESS.